The growth in tourism in recent years confirms that Albania is on the path towards making tourism an active generator of revenuess. This presents an ideal situation for foreign investors to step in and expand their business in Albania’s tourism sector. 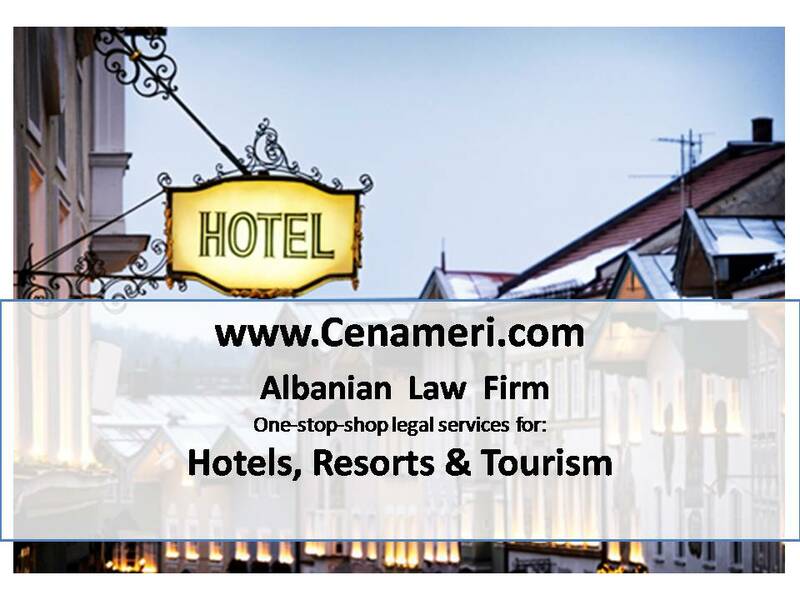 As a leading legal advisor in Albania, we help hotel developers, operators, financiers, investors and service providers capitalize on opportunities in the hospitality industry while complying with regulatory requirements and minimizing local market risk. We work on some of the largest hotel transactions and advice clients on all aspects of ownership, management, operation, development and financing of hotel and resort properties. Our one-stop-shop legal services include timeshare and fractional ownership schemes, franchising, foreign investment regulation, licensing and regulatory approvals, employment and indistrial relations, environmental and planning issues, M&A, taxation and stam duty, transfer pricing, information technology, trade practices and dispute resolutions.